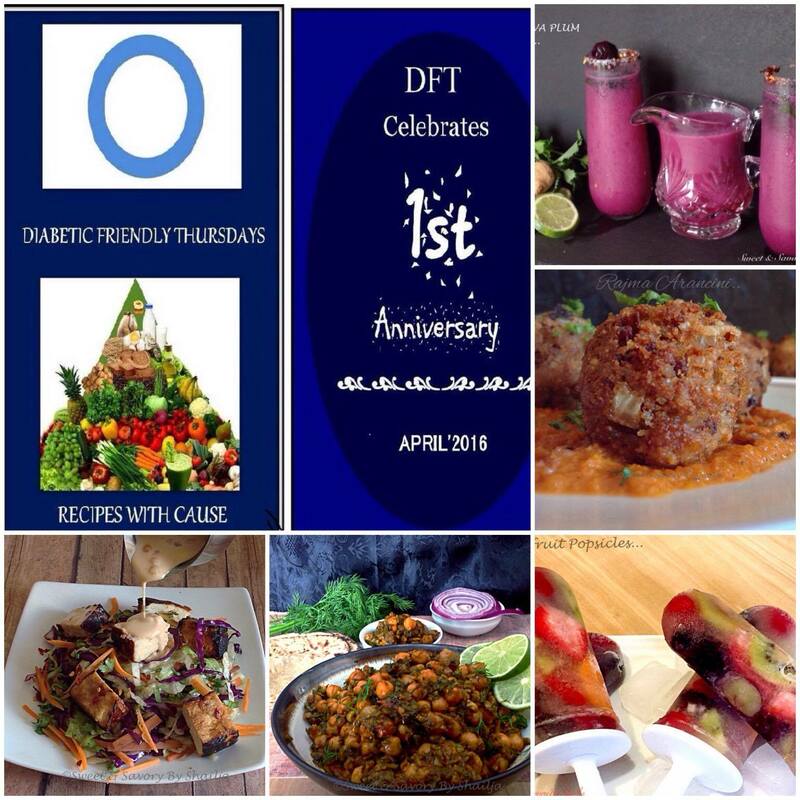 Diabetes Friendly Thursdays completes one year in April. 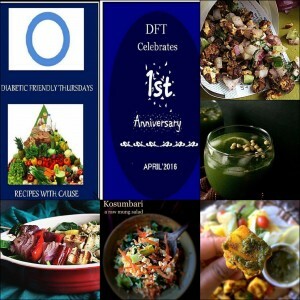 To celebrate the joy and hard work of working on DFT for an year, team DFT is bringing a collection of Diabetes Friendly Recipes from individual contributors. 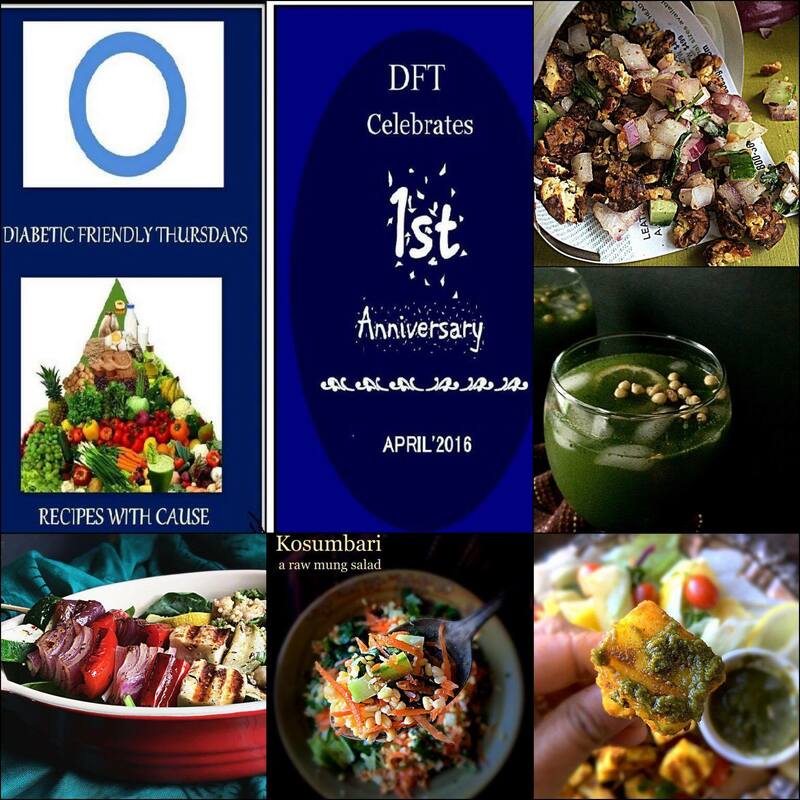 Yes, in the Diabetes Friendly Thursdays venture initiated by Sonal, we have been creating recipes with a cause for a year now! To learn about DFT, click here! 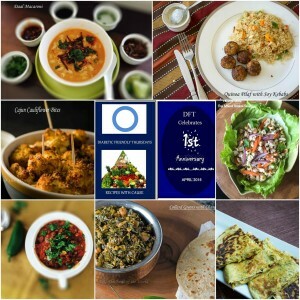 Here is a compilation of the most popular DFT recipes from this blog. BOOKMARK this post for future reference! 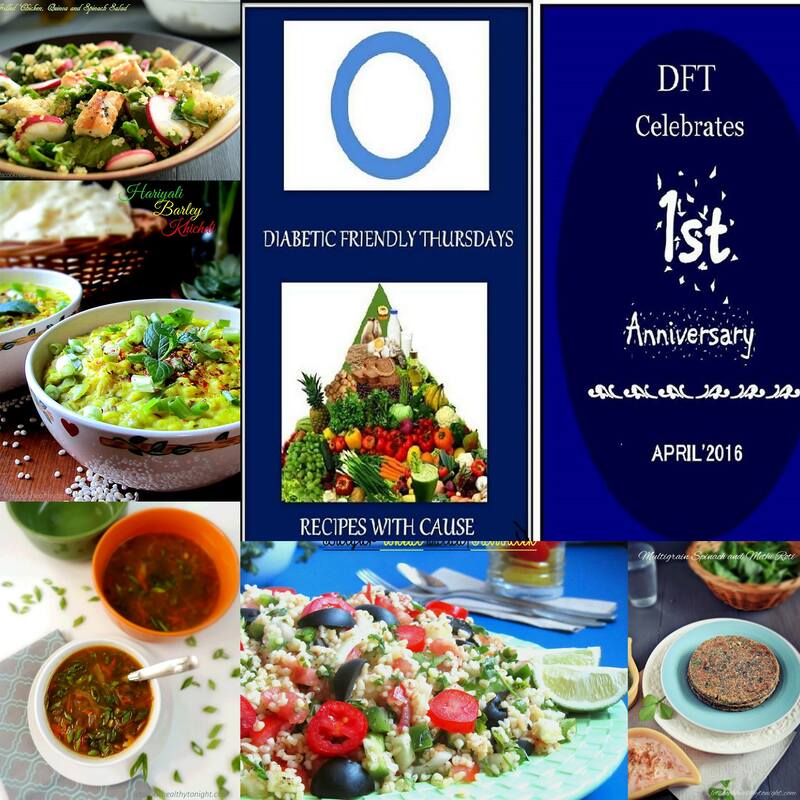 To view all DFT posts, click on the Diabetes Friendly Thursdays category in the column on the right. 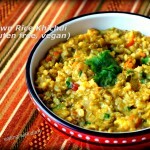 An easy single pot meal- Brown Rice Khichdi: If you have all veggies chopped ahead of time, this would be perfect for even a busy evening. Just use your electric cooker and whip up this dish with minimal effort. 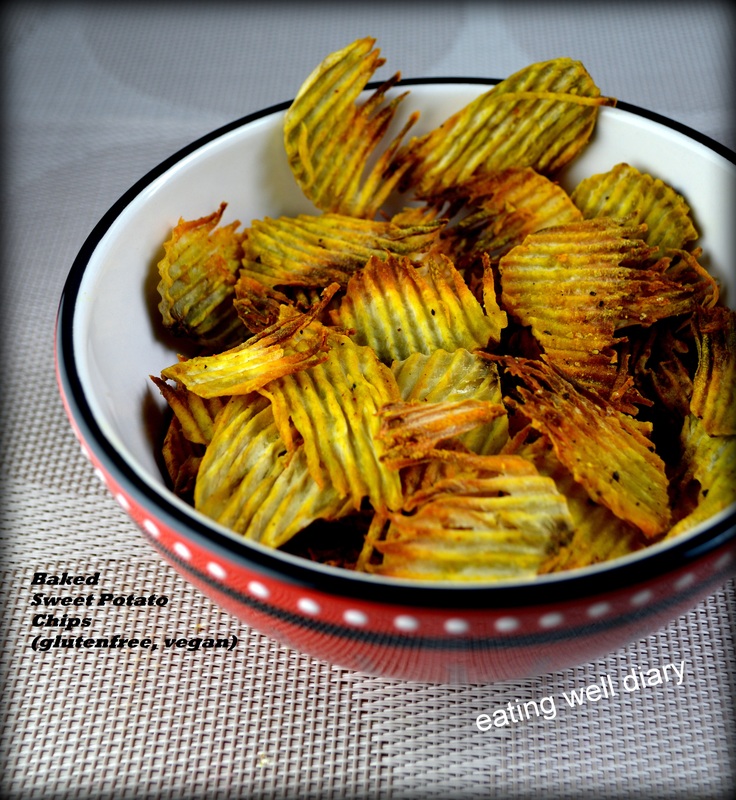 Baked Sweet potato chips- yum. This is by far the tastiest dish you could make from a sweet potato. An easy method with no oil, but nobody will know the difference. Make it and wow your guests. 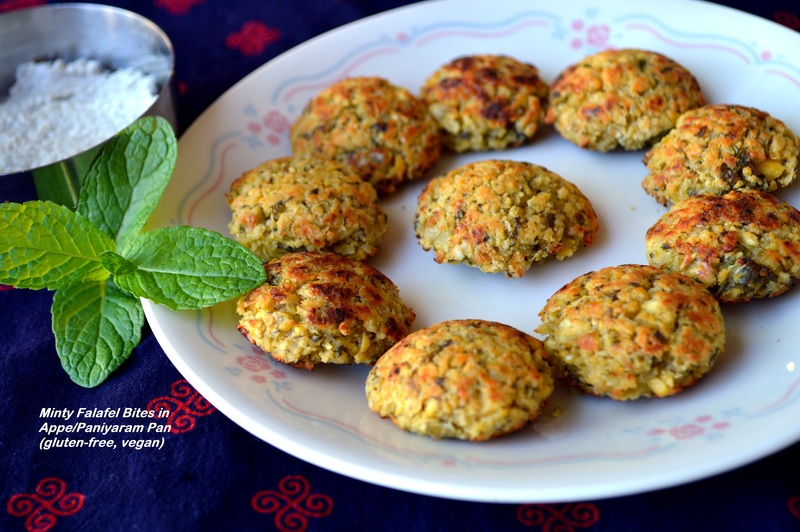 Minty Falafel bites using your Appe/Abelskiever pan:Minimal oil but the full flavor of deep-fried falafel, made even more delicious with the addition of mint. 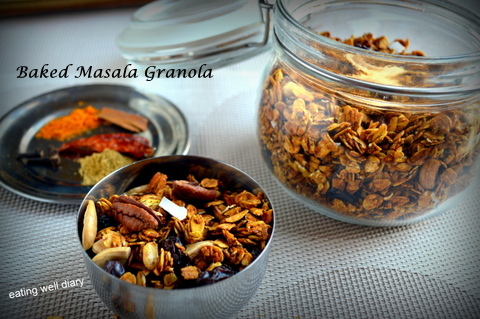 Baked Masala Granola- Granola in a tasty savory form. 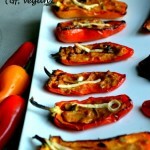 Who knew such an easy and healthy recipe could be so delicious? A favorite of my kids. 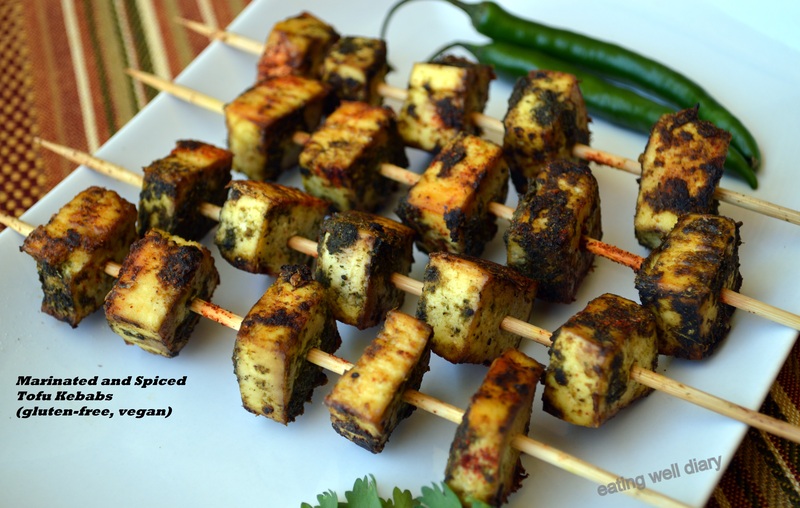 Marinated And Spiced Tofu Kebabs- Tofu in a delightful kebab spiced with cilantro and other delicious flavors. A big hit with kids. 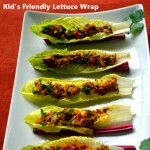 You could even involve your kids in preparing this. They would be super excited! Great work, Apsara 🙂 I really want an appe pan!!!! thank you, dear Elaine. Yes, Appe pans are the best, and I’m planning to get a bigger one for myself the next time I visit India. 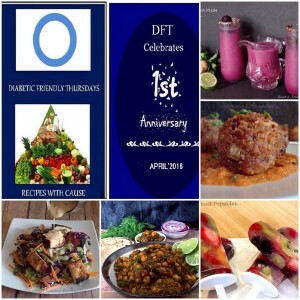 All superb must try recipes Apsara…I am so glad to meet you via DFT…Happy DFT Anniversary dear!! I’m glad to have connected with you as well, Swati! Thank you, girl. 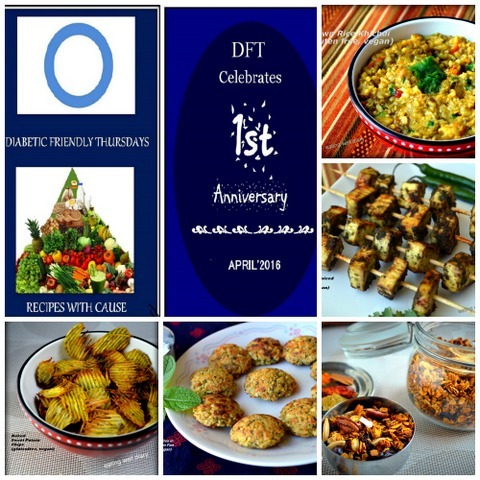 Proud to be part of DFT. All the dishes look good. 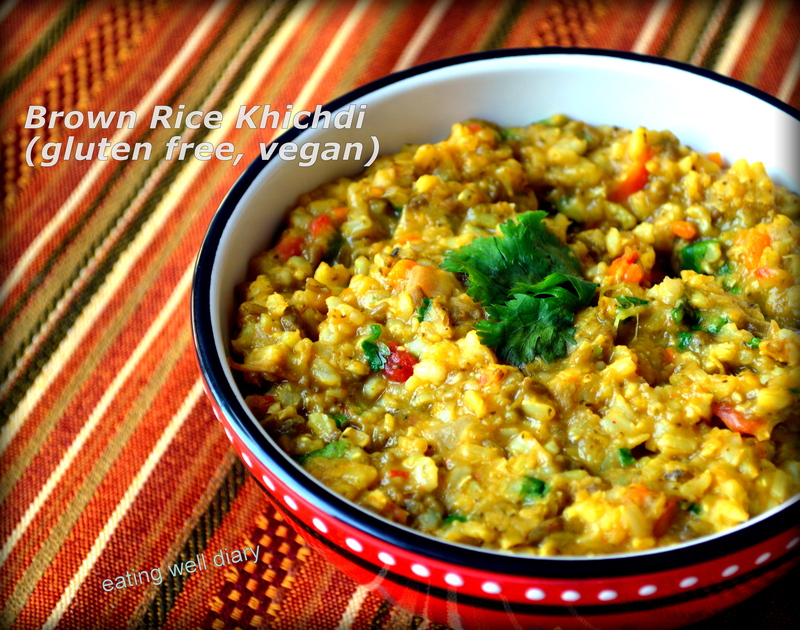 I’m particularly intrigued by the Brown Rice Khichdi. 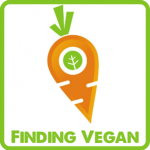 Thank you for visiting, Sheryl and welcome to my blog. 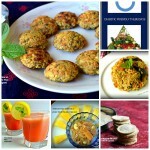 I love all your healthy recipes Apsara! You bring so much value to the group with your knowledge and expertise. Thanks for being a part of this amazing team! Thank you, dear Suchitra. I’m so glad to have got to know you as well. Apsara, you are the gluten free queen. Have learned so much from you and glad to know you via DFT. 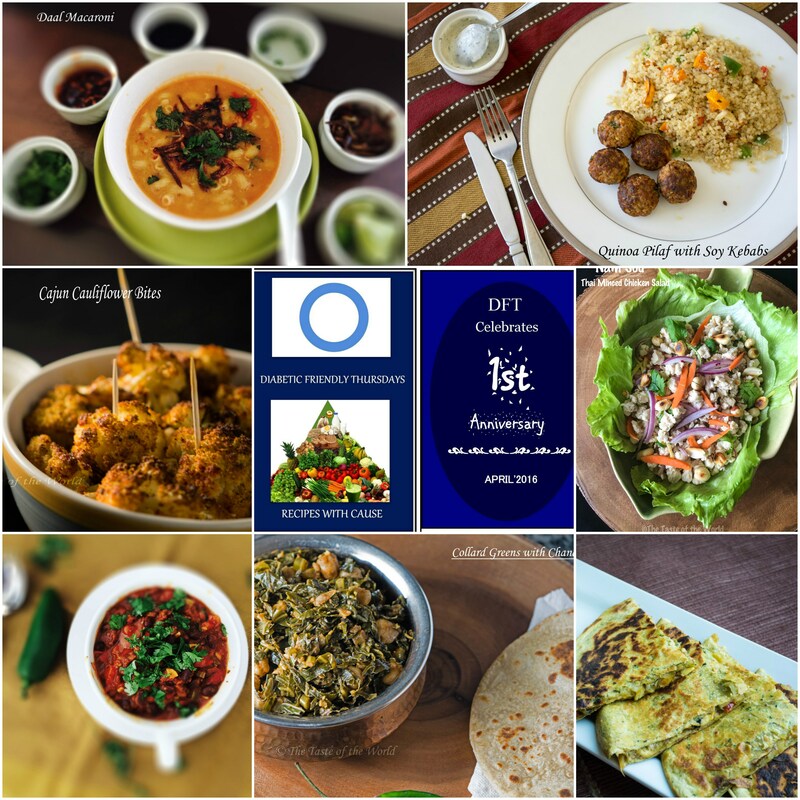 Loved your collection of recipes! !